Don’t let history repeat itself on you this time. If you happened to miss last year’s Xbox One sales, here is the time to make full amends. Microsoft has announced its Xbox Spring Sale that started this week on March 20 and once again, the price of Xbox One consoles has dropped by up to $50. The good side of the story is that the price drop doesn’t just affect the hardware part of the gaming console, but also the software part of the game. The new deal means that Xbox One Tom Clancy’s The Division Bundle will now sell with $50 off, similar to the 500GB Name Your Game Bundle that allows users to pick out any one of four games. The same $50 price drop will also affect the yet to be released Xbox One Special Edition Quantum Break Bundle. As mentioned, the Xbox Spring Sale deal will not just be affecting the hardware side of the gaming console, but also the software side of things. The company will, starting from this Tuesday, avail great deals on quite a number of Xbox One and PC games, movies as well as TV shows from the Xbox Store. As far as games are concerned, this week-long promotion will see you save up to 60%, with others offering more than this valuation. Top titles such as Halo 5, Fallout 4, Far Cry Primal and Black Ops III, among hundreds of others will be covered by this deal. Those still in love with other games such as Just Cause 2 and Fallout 3 will also be part of this deal. Things get even better when you sign up for the Xbox Live Gold as you will be able to unlock an extra 10% discount on all of these games. You will also be able to play online games with friends as well as get access to $700 worth of free Games with Gold titles annually. As mentioned, the deal will also apply to PC games such as Halo: Spartan Strike and Hand of Fate as well as popular movies and TV shows like Better Call Saul and The Martian, among hundreds of other titles. One thing you need to remember is that the Xbox Spring Sale is here for a limited period and the games’ deal is also treading on the sale lines. Make a move while the deals still last such that history doesn’t repeat itself, again. 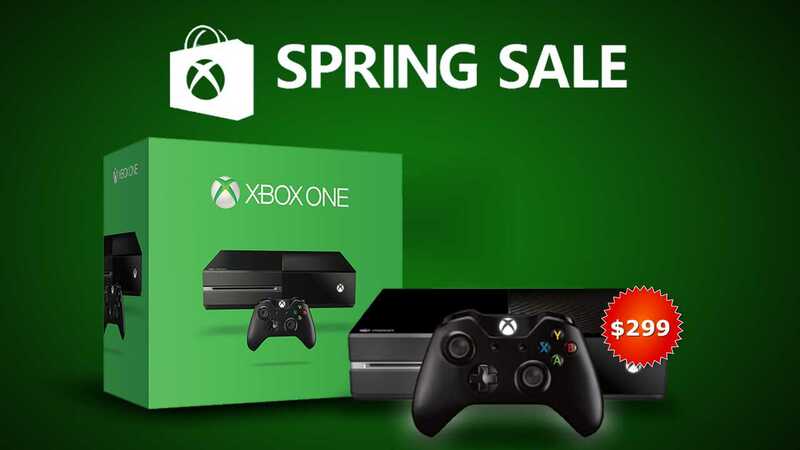 For more details, check out Xbox Spring Sale here. Next Next post: Samsung Galaxy A5 (2016): The Next Best to Samsung’s Flagship Series?